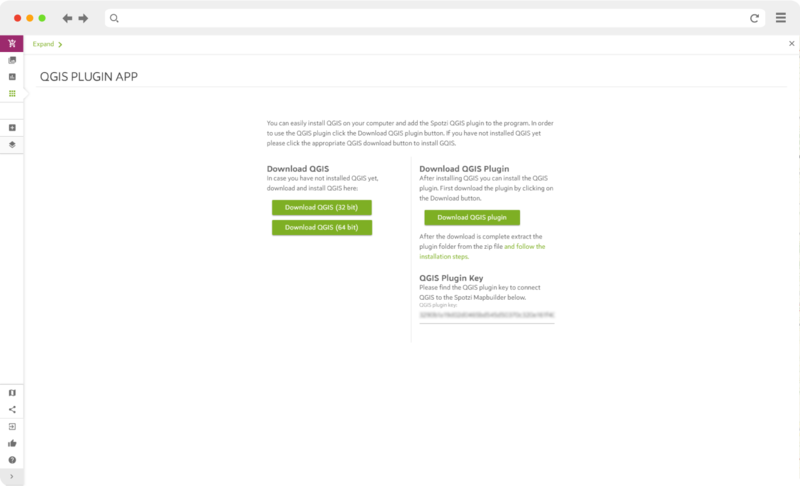 With the Spotzi QGIS Plugin, you can download datasets from your account into QGIS. You can then edit the data and create stunning maps in QGIS. After you are done, you can upload the map to your Spotzi MapBuilder account. Upgrade to Spotzi Premium and start using QGIS. You can easily install and add the Spotzi plugin to your QGIS program. Read our documentation for more information about the installation of the Spotzi Plugin in QGIS.